8 1/2 x 19 1/2 x 24 in. 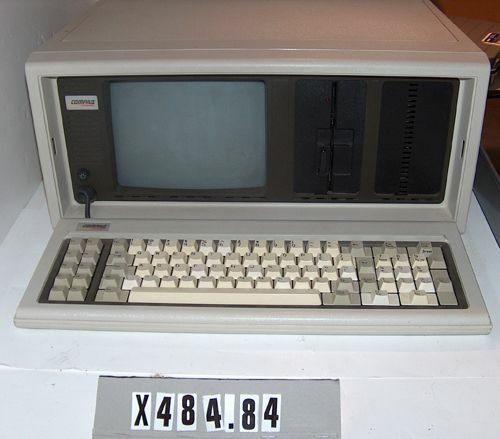 Portable computer with one, 5-inch diskette drive, memory 128K. Dimensions are as photographed with keyboard open.